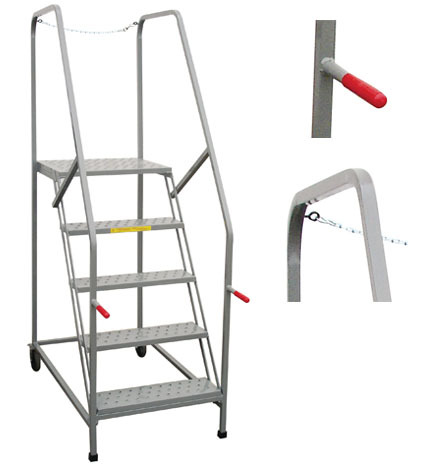 The mobile maintenance platform is a strong tilt and roll style ladder. The top railing is fortified to allow a removable safety chain for workers to climb to other areas. These were originally intended for accessing the backs of freight trucks, but our customers have found a plethora of uses. We also build Maintenance Platforms to your specifications. Many sizes and styles to choose from. We can customize too. We can build a Maintenance Platform to your specs. 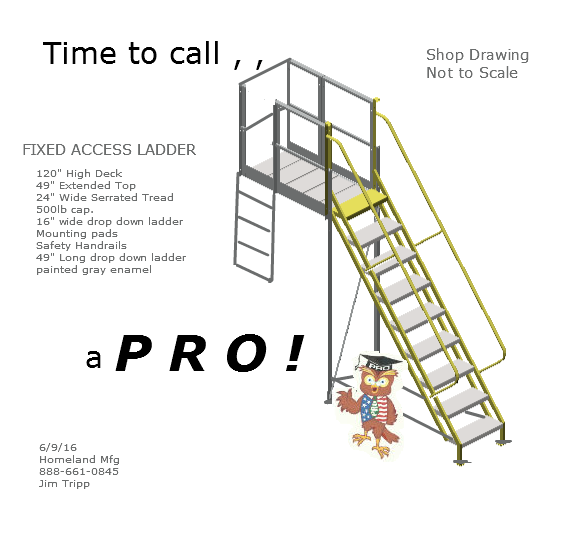 We can work from your drawing or concept. 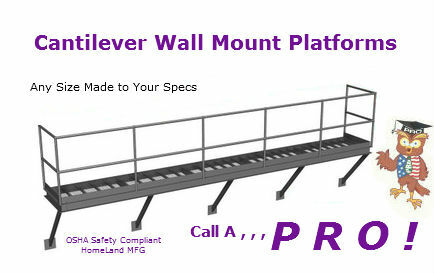 Aluminum, galvanized, stainless or steel constructed platforms or catwalks too.